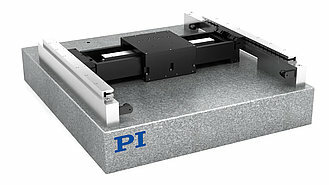 The PIglide MB linear stage with air bearing is equipped with a servo linear motor drive with preloaded air bearings and integrated optical linear encoder. This stage offers ultra-precision in miniature format. 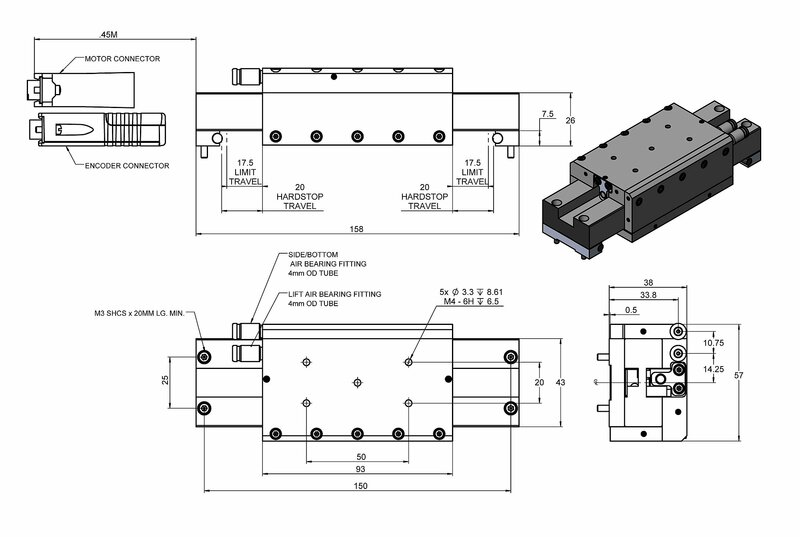 The combination of the noncontact components results in a frictionless motion platform that offers the highest performance, quality, and lifetime. The stage is ideally suited for many high precision applications, such as metrology, photonics alignment, optics positioning, and scanning. The noncontact design also is ideal for cleanroom applications. Electrical cables are not moved. The air bearing module offers a locking design for the ultimate in position stability. (6) To protect the stage against damage, it is recommended to connect an air pressure sensor to the E-Stop input of the controller. Alternative TTL encoder resolutions are available on request.